Switzerland is, as you’d expect, one of the countries with the cleanest energy. They recently had a referendum in which they decided against the strict and abrupt phasing out of nuclear energy, showing that the Swiss voters understand something most people choose to ignore: nuclear energy is cheap, and it’s clean. Switzerland gets the bulk of its electricity from water. Image credits: Lex Kravetski. The electricity sector in Switzerland relies mainly on hydroelectricity. 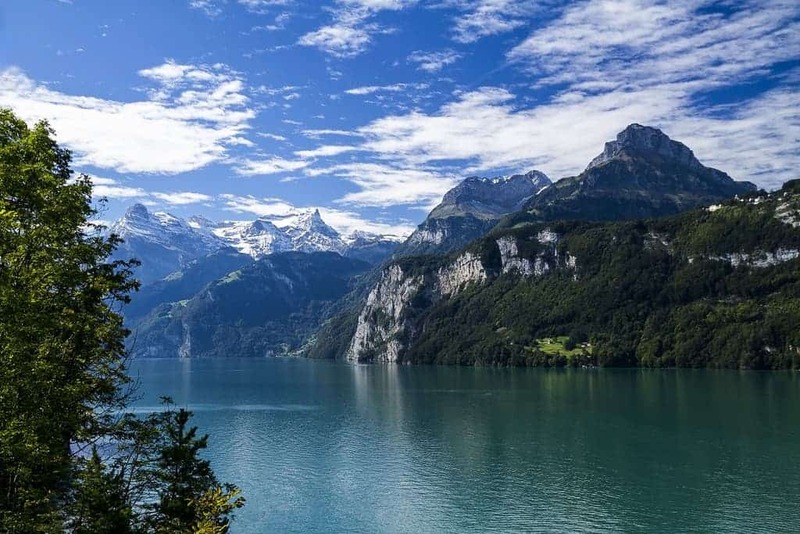 The Alps cover almost two-thirds of the country’s land mass, providing many large mountain lakes. In fact, Switzerland uses two types of hydro-electricity: the traditional water-storage, and the run-of-the-river hydroelectricity. Taken all together, hydro-electricity amounts to almost 60% of the country’s electricity. This being said other renewables aren’t so well represented. Together, solar, wind, wood biomass and waste incineration amounted to less than 4% of the country’s production in 2013. The bulk of the remainder is provided by nuclear. Five nuclear plants generate 37% of Switzerland’s energy. After the Fukushima nuclear disaster in Japan, the Swiss government said it would gradually start removing nuclear energy, something everyone agreed upon. But not everyone agreed upon the timeframe to do this. Some environmental groups said that nuclear plants are only safe to run for 45 years, which meant that two of them would have to shut down almost immediately. Meanwhile, other groups argued that the plants are still safe and shutting them down would only increase the country’s reliance on fossil fuels, which at the moment generate less than 3% of the country’s electricity. This move would have also somewhat undermined the national economy, which is extremely competitive. So the Swiss head on to an interesting vote. 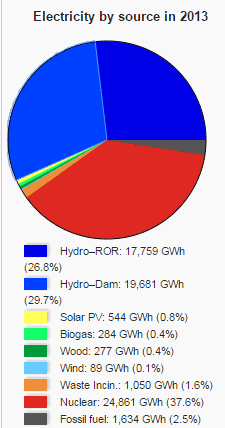 Electricity production in Switzerland, in 2013. Image via Wikipedia. As it turned out, despite most people worrying about the state of the plants, the vote came out negative – that is, the country opted to hang on to its nuclear energy. Approximately 55% of voters took the economic route and voted against a harsh phase-out of nuclear. But elsewhere in Europe, things aren’t so clear. If you talk to someone about clean energy, nuclear will rarely pop up. People don’t seem to want it, despite a plethora of studies which show its resilience and potential. Nuclear energy is 4,000 times safer than coal energy, saving 1.8 million lives between 1971-2009 according to a NASA report. In France, nuclear is the main source of energy, “a success story” that has put the nation “ahead of the world” in terms of providing cheap energy with low CO2 emissions. But elsewhere in Europe, nuclear isn’t doing so hot. In fact, excluding Russia, France generates more nuclear power than the entire continent, and even most countries have announced their intention to phase out nuclear. So this leaves us with an interesting discussion. If France is such a success story, then why aren’t others trying to replicate its success, and why are most countries going the opposite direction? Germany, often hailed as one of the most eco-friendly countries in the world, still lags behind France not only in terms of CO2 emissions but also in terms of energy price. German people are paying for switching off nuclear and while referendums are easier to incorporate in Switzerland, the Swiss still opted not to keep nuclear — they just decided to keep it for a little longer. People from other countries, where referendums are more difficult to organize weren’t even given this possibility – and even if they were, they likely wouldn’t have taken it. Nuclear is, and will likely remain a cheap, efficient, and unwanted energy source. People seem to generally be against it and governments don’t want to stand up to it for the fear of backlash. It’s would be up to the private sector to do something, but as it stands now, there doesn’t seem to be too much momentum on that end. Ultimately, perhaps technological developments will have a word to say. I guess we’ll just have to wait and see.